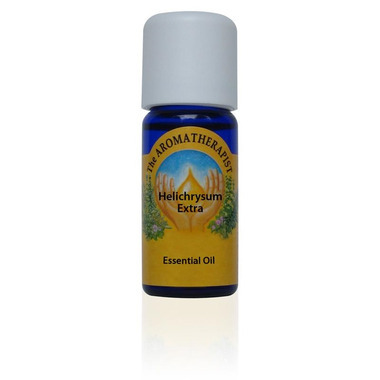 The Aromatherapist Helichrysum Organic is calming, healing and rejuvenating. Common Uses: Used to treat trauma, bruises, swelling, inflammation and tissue damage. Also used for arthritis, rheumatism, infections, candida and allergies. Cosmetic/Skin Uses: Traditionally called ‘Immortelle’ for its skin rejuvenating properties. Often used in anti-aging skin treatments, for burns, scars, eczema, broken veins, varicose veins and stretch marks. Inside Info: For an effective after-sun skin treatment, place 5 drops Helichrysum, 5 drops Lavender Highland and 5 drops Roman Chamomile into a 50 ml bottle of Aloe Vera Gel. Many of the benefits of essential oils come through inhalation, diffuse in your environment, use in your bath, shower or massage, make a personal scent or a room spritzer. Caution: Do not apply essential oils to open or broken skin. Some essential oils are not safe for pregnant women, small children or individuals with compromised health. Please seek the advice of your healthcare professional if you are unsure.